At Term life Advice, we work with more than 60 top-rated life insurance providers, and a handful of them offer no medical exam policies that can get approved within 24 hours. Life insurance policies that do not require a medical exam have their pros and cons, but depending on your situation, they may be right for you. To help point you in the right direction this article compares pricing, coverage options, and company ratings from the 10 best no medical exam life insurance companies in the industry. While life insurance policies that do require an exam tend to be cheaper, there are several reasons a no-exam policy may be the best option for you. For one thing, you can get approved and covered almost immediately with some companies. No exam life insurance also allows you to skip visiting a doctor which can be invaluable to anyone who can’t stand medical offices or the idea of giving blood. These policies are also helpful for busy executives that constantly travel for work, or anyone with an unpredictable schedule. While there are dozens of insurance providers that offer no exam life insurance, some policies are much better than others. This list will help you narrow down the best options, but before choosing a policy that lets you opt out of the medical exam, you should talk to an experienced agent who will help you find the best company and coverage. They’ll also be able to help you avoid common mistakes such as overpaying, buying a policy that increases in cost over time, or purchasing a policy that does not cover natural causes of death. Below we’ve compared the top 10 life insurance providers that offer affordable coverage without an exam. 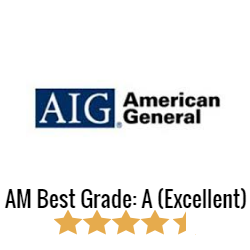 American International Group provides insurance services to more than 88 million people and has received an A (Excellent) grade from AM Best. While the company has a number of products to offer, the majority of their life insurance policies do require a medical exam. While not a life insurance policy per say, AIG’s Accidental Death Insurance policy will pay a benefit if you die as the result of a covered accident. It also includes coverage if you become seriously injured (paralysis, loss of sight, loss of a limb, etc.) as a result of a covered accident. If you are between the ages of 18 and 80, you are guaranteed coverage and can be approved immediately through this policy. 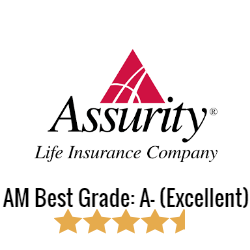 With nearly 130 years of experience in providing life insurance coverage, Assurity Life Insurance Company is also one of the best in regards to providing no medical exam life insurance options. 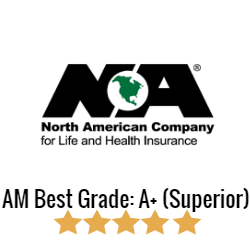 The company has an A (Excellent) rating by AM Best and offers a number of products and policies to meet your needs. If you are between the ages of 18 and 65, this could be a great option for you. You can qualify for up to $350,000 in coverage without needing to take a medical examination. While a medical examination is not required, the policy’s benefits are based on a health questionnaire about your medical history. The exact coverage you’ll receive is dependent upon your responses. Fidelity Investments was founded in 1946 and offers insurance coverage to more than 24 million Americans. 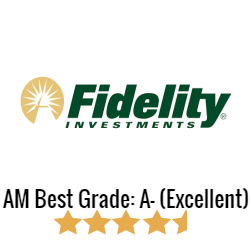 They have an AM Best grade of A- (Excellent), and offer a variety of products including several through their sister company Fidelity Life. The company’s RAPIDecision Express policy does not require a medical exam and gives clients real time approval and underwriting. You can choose from 10, 15, 20, and 30-year terms, although the available term lengths vary by age. Benefit amounts range from $25,000 to $250,000. All you need to get approved is answer a few questions about your health and you’re set. 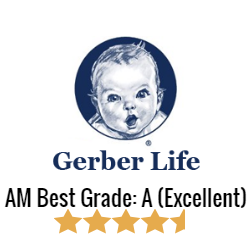 Gerber Life Insurance Company has an AM Best rating of A (Excellent) and was built on providing a product that parents trust. They specialize in selling affordable life insurance products including term life, universal life, and guaranteed life policies. They also have a great burial life insurance policy that does not require any health questions or exams for approval. Gerber offers a no-exam whole life insurance policy with a cash value coverage for up to $25,000. This whole life insurance plan can help your family pay for funeral expenses, medical bills and other debts. 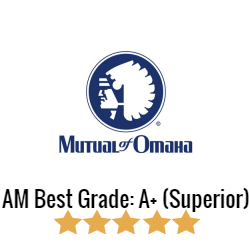 With an AM Best grade of A+ (Superior), Mutual of Omaha offers exceptional life insurance no medical exam policies amongst its products. Founded in 1909, the company has been helping protect families for more than a century. If you’re 45-85 years old, you can potentially be covered from $2,000 to $40,000 without needing to worry about taking a medical exam. To qualify, you need to answer a few health questions and submit a background check, which will review your past medical and prescription histories. The North American Company for Life has a storied history of providing security and protection. The company—which has an AM Best rating of A+ (Superior)—was founded in 1886 and was the first company to offer disability insurance to women. The company’s simplified issue term life insurance policy is available in several term lengths—15, 20, and 30 years. It also provides a death benefit from $50,000 up to $500,000. And because it’s a simplified issue policy, you do not need to take a medical exam or blood test, all you need to do is answer a few health questions to qualify. You can apply online and get approved almost immediately. The Principal Financial Group offers several no medical exam term and universal life insurance policies. 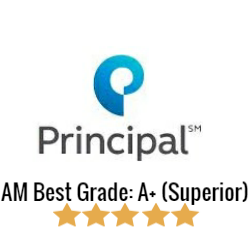 The company is rated A+ (Superior) by AM Best and is trusted by nearly 20 million customers all across the world. Principal’s life insurance products are some of the most competitive in the industry. In fact, their no-exam policy rates are comparative to other companies’ exam-required plans. This no-exam policy offers you coverage for up to $1 million as an individual and you can be approved in as little as 48 hours. To qualify, you must fill out an application and schedule a phone interview (either immediately or at a future date). The underwriter will look at several factors—the interview, a motor vehicle report, a prescription database check, and a report from the Medical Information Bureau—to decide if you are approved. About 60% of our clients are approved at this stage, but if you do not qualify, you can still obtain coverage by taking a medical exam at that point. 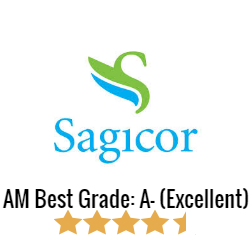 Sagicor Life Insurance Company has an AM Best rating of A- (Excellent), and a simple underwriting process—which makes it a trusted life insurance company. The company has a superior automated underwriting process that provides you with a decision in less than 30 minutes. Sagicor’s no-exam policy offers multiple health classifications (to help you get the best rate) and uses the company’s own accelerated underwriting process which gets you approved in minutes without the need for a medical exam or physician statements. If you’re 18 to 65 years old, you can apply for term life insurance coverage from $25,000-500,000, with term lengths of 10, 15, or 20 years. 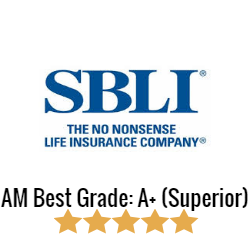 Savings Bank Life Insurance has an AM Best rating of A+ (Superior) and continues to be a leader in the life insurance industry. This no-exam policy is one of SBLI’s most popular products. It’s available to anyone aged 18-60 in every state except for New York or Montana. The coverage ranges from $100,000 to $500,000 and offers 10, 15, 20, 20, and 30-year terms. Approval is determined through a TeleMed interview; no medical exam is required. Transamerica got its start back in 1904. The company spent time in the 1960s and 1970s expanding the brand into other industries, but refocused on solely providing financial services and insurance. 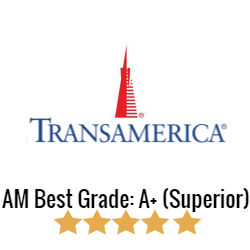 With an AM Best rating of A+ (Superior), Transamerica is now one of the country’s most renowned life insurance companies. With Transamerica’s Simple Term plan, you can choose coverage amounts for $25,000, $50,000, $75,000 or $100,000. Eligibility is determined based on your answers to a few health questions, and you can eventually convert your coverage to a permanent life insurance plan without ever taking a medical exam. You and your spouse can be eligible for this plan if you’re aged 18-64, although plans are renewable up to age 69. The policy that will work best for you may not be on this list, and your best coverage rates are heavily dependent on your answers to the company’s health questions and interviews. Because we work with so many different life insurance companies at Term Life Advice, our list of top no-medical exam companies and policies is constantly changing. We are adamant about reviewing pricing and underwriting guidelines to bring you the best rates and coverage based on your situation, even if that situation does not involve taking a medical examination. At Term Life Advice, we do not favor one company over another. Instead, we work with more than 60 top-rated life insurance companies to match you with the best, most affordable no-medical exam life insurance company and coverage. Our agents are expert “matchmakers” and are experienced enough to find you the best rates and help you get approved and covered in minutes. Call us toll free at: 855-902-6494 or use the free online life insurance quote tool below to get started.